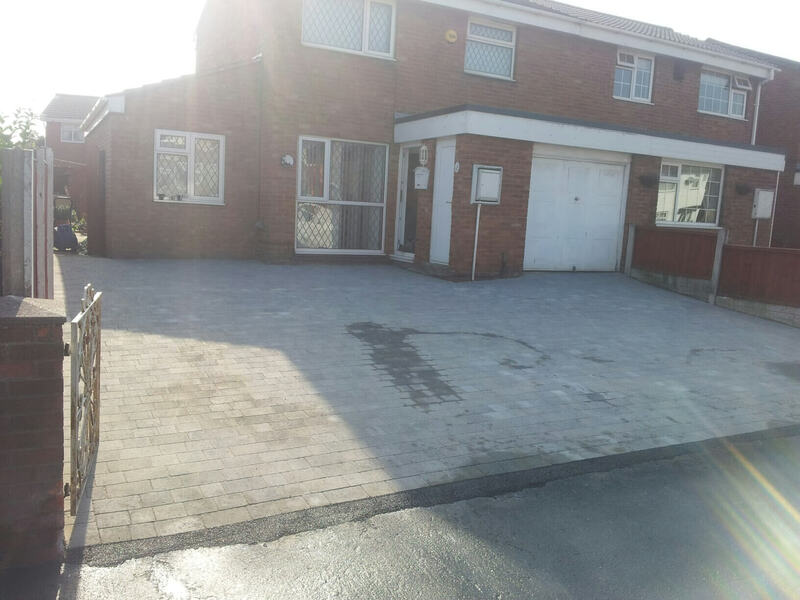 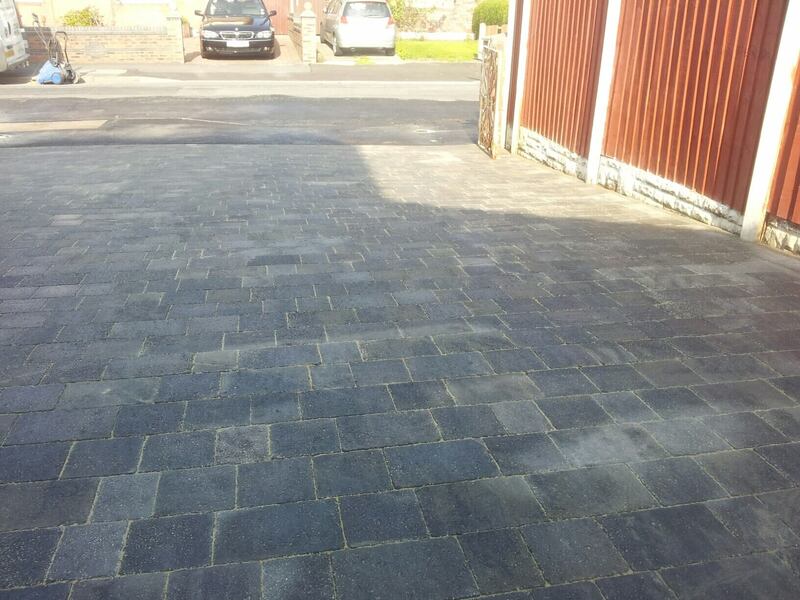 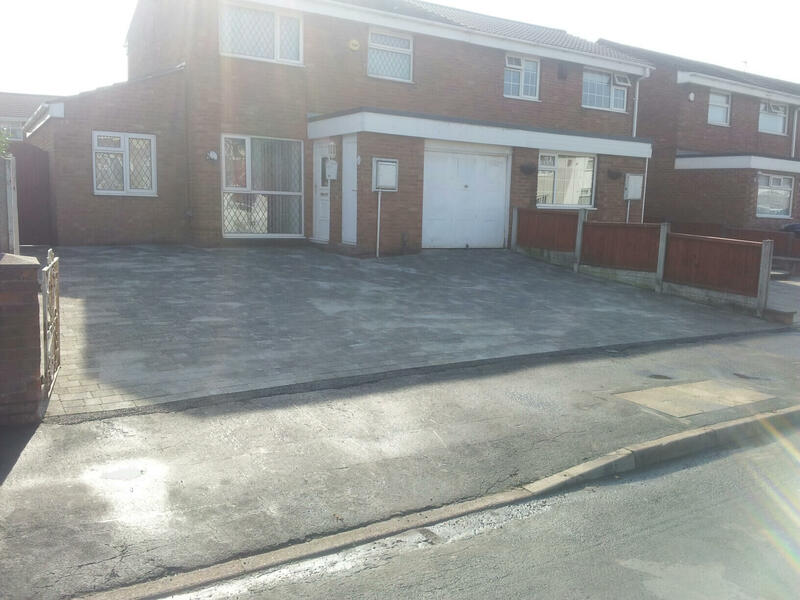 Here we were constructing a new driveway using Marshalls Drivesett Tegula block paving. 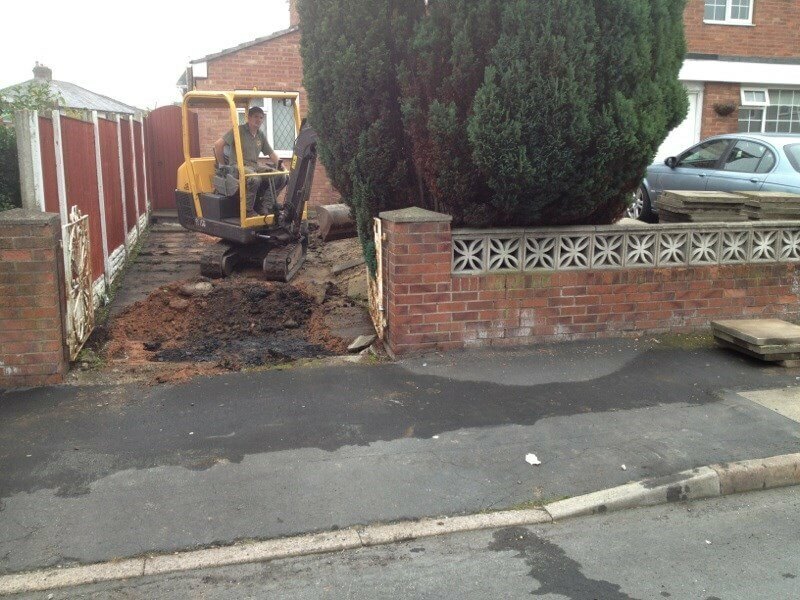 The extinguisher area by the tree is a bit higher than the area on left of existing wall and also a different level on the right of the wall. 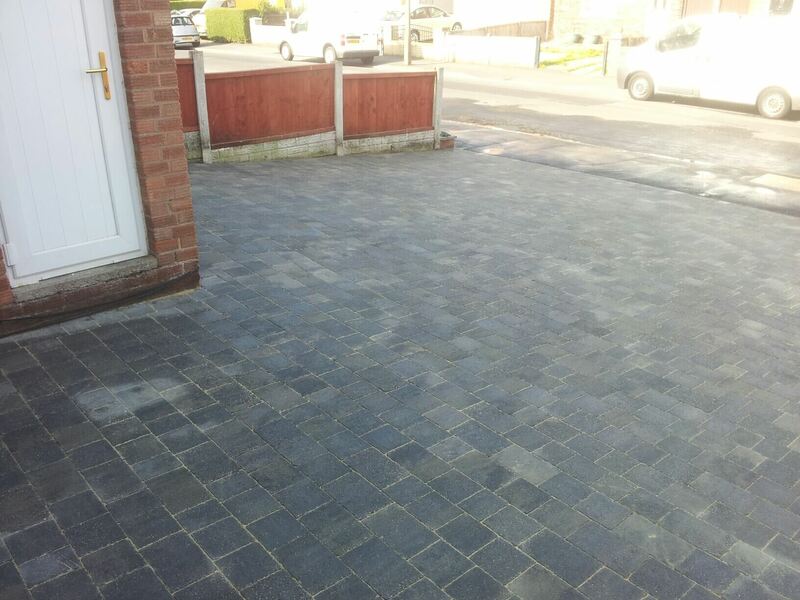 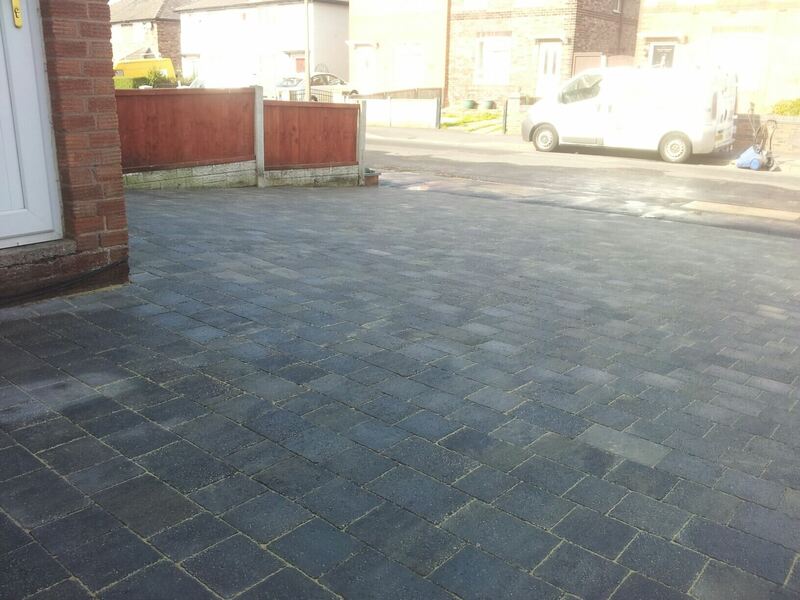 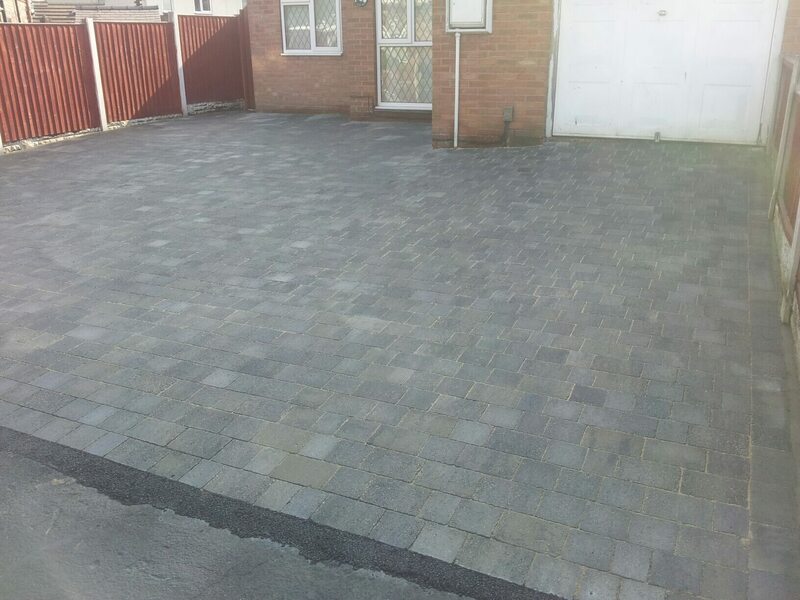 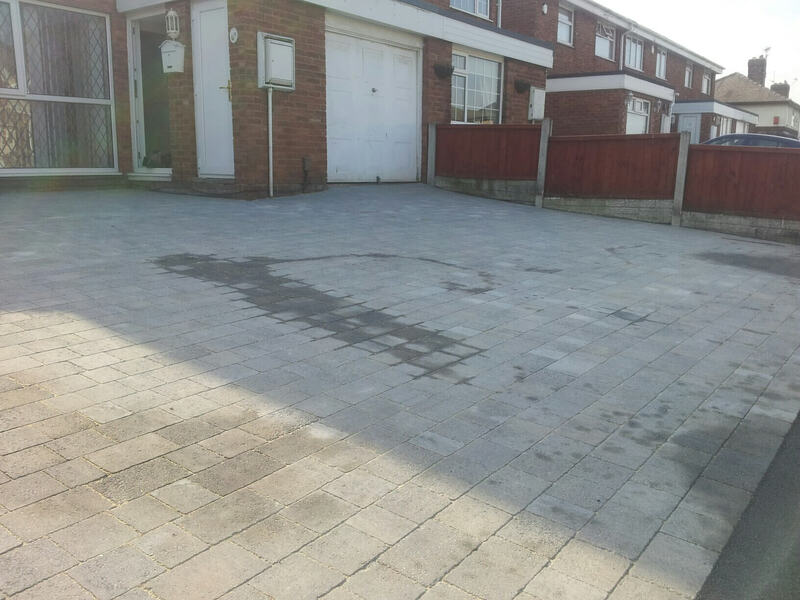 The new block paving installation made the whole area one sloping level to create easy access for the customer.